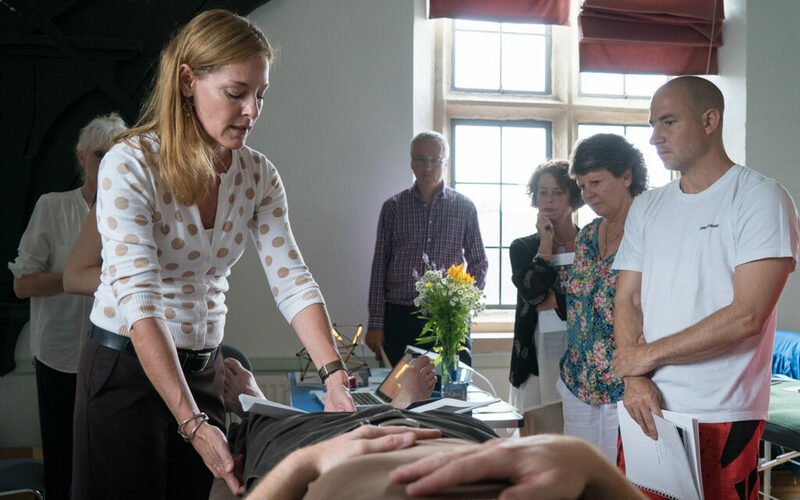 This class is designed for the practitioner who is interested in learning more about the Tensegrity Medicine approach. It is also designed for current and past students to attend to refresh their skills and to gain new insights into the biotensegrity paradigm. Join Kelly as she evaluates and treats a client in a classroom type setting. You will be introduced to biotensegrity as a model to understand and treat pain and pathology. Postural assessment strategies, myofascial testing, and light touch therapies with a biotensegrity focus will be modeled as a way to skillfully balance the global system. You will leave this clinic with a practical hands on understanding of how the Tensegrity Medicine approach can be used in evaluation and treatment utilizing scientifically based objective methods to treat musculoskeletal and fascial dysfunctions. Understand concepts related to biotensegrity and their roles in musculoskeletal postural patterns. Understand the role of kinetic chains and tension and compression contribute to common pathologies. Learn why symmetry is not our goal but individualized balance of the connective tissue system. Understand how to use myofascial testing and other measures to accurately assess, educate, document, and validate therapeutic interventions.